Klei Entertainment has confirmed its attendance at E3 2016 and hinted at a new reveal. Though the indie has a strong relationship with Sony, its grand success on Steam Early Access has made it a PC darling, and so it’s tipping its hand during the PC Gaming Show tomorrow (work out your viewing schedule via our handy-dandy E3 2016 hub). We have no idea what to expect, obviously, but a teaser image shows a character in what appears to be a cracked space helmet. If it’s a Don’t Starve expansion then Maxwell’s had a heck of a haircut and discovered rocket fuel; I’m thinking it really is something totally new. What’s up with that mysterious choice of symbol for the “o” in “something”, though…? Although it’s best known for Don’t Starve these days, Klei has a string of well-received titles to its name and is lauded for its beautiful 2D art. You may remember it from such delights as Shank, Mark of the Ninja and Invisible Inc. it’s probably too much to hope for another stealth title, isn’t it? 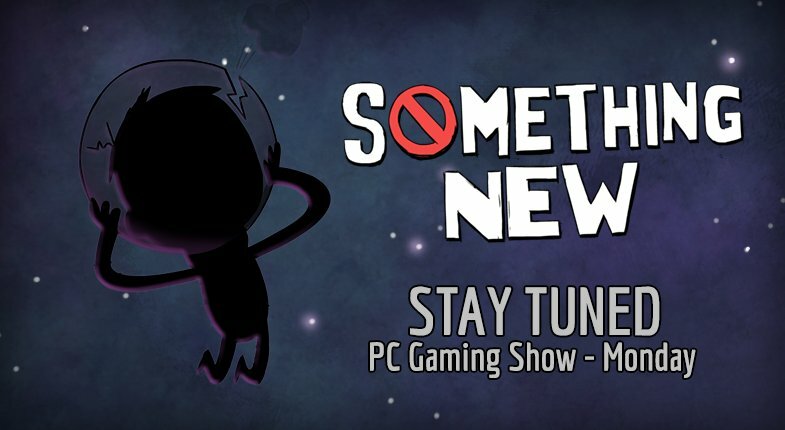 Tune in to the PC Gaming Show this Monday for something new from us.